Yesterday the search for a good surfing spot was a hard task. I took my surf guide customer to the spot I surfed the day before, but unfortunately the size was a bit too much for it. We tried, but too many closeouts. No good surfing, no charge, no worries. On the way back I checked the Kahului harbor that had waves, but plenty wind and nobody out. The west side had plenty wind too and Honolua was big and not perfect (if not at times). There just weren't many options yesterday, but the hunt was fun. We'll try again today, and it looks just as challenging. In the afternoon I windsurfed on the west side. I asked Levi a score for the conditions while I was rigging around 3pm and he gave me a 7. What I sailed was barely a 5, I guess it was better earlier. 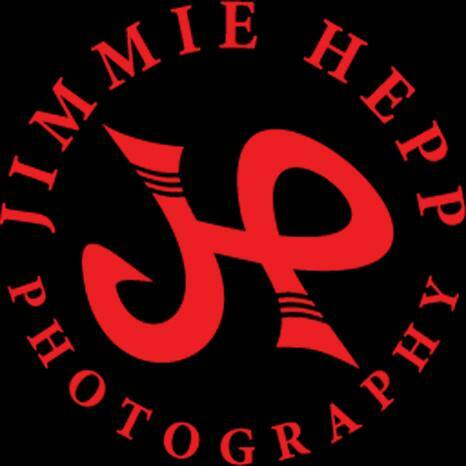 That's also what it looks like from this photo of Ferdi by Jimmie Hepp from this gallery. The good news is that I was toasty in my 4/3 (still cold fingers though). Taking it off felt a bit like this. Maybe I should get those tools. 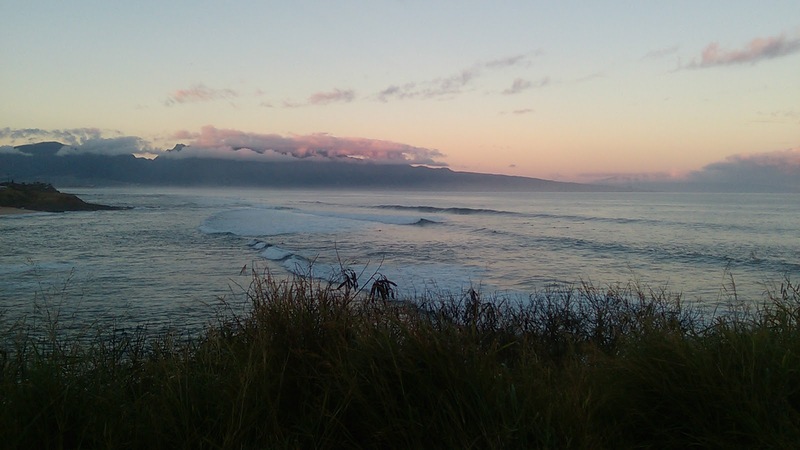 Check the webcams, Lahaina had some energy from the wrap yesterday. Numbers came down a bit, but once they're up in the 10f range, it doesn't really make a whole lot of difference: it's still big out there. Below are the graphs of the three buoys I reported. Notice how the direction started NW at the NW101 (all those red arrows I drew) and then slowly but steadily veered to the north and now it's coming from NNE. Same thing is going to happen locally. The N and Pauwela buoys have been pretty steady from that point of view, so expect the swell to start becoming more and more from the N throughout today and tomorrow. That should be no surprise for the ones of you who make an effort to remember the position of the fetches that I circle daily in the "current wind map" section below. Now, that applies to the "main" 13s component of it. 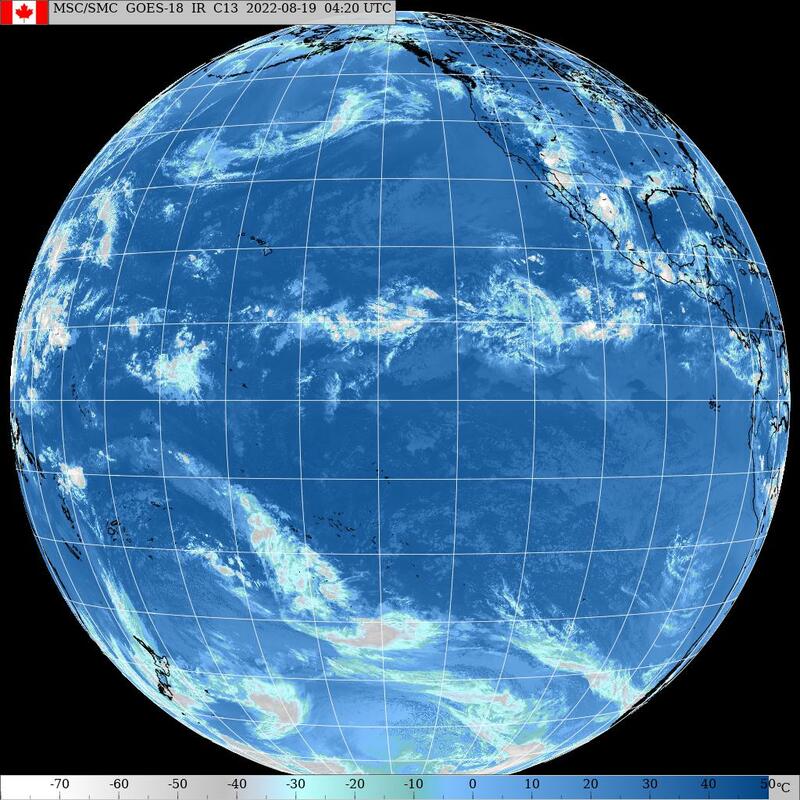 But notice how the 10s period component at Pauwela and N is already coming from a slightly more northerly direction. Those were generated towards the head of the fetch, while the 13+ more towards the back of it. So the 10s energy hitting the buoys in any moment, was generated at least half day or more later than the 13+ which had to travel more. And that explains why the 10s part is already coming more from the north. The 13+ will follow. Love this stuff. Unfortunately, just like yesterday, the problem today will be the wind. No good surfing on the north shore and it looks even windier on the west side. If you can handle the size (plenty DOH), Honolua would have the best shape, but not perfect either because of the stormy nature of this swell, due to the proximity of the generating fetch. 1) solid, classic NW fetch. Related swell forecasted by Surfline to pick up on Friday and peak Saturday at 8f 15s from 307 at 2pm. Really good wind (i.e. : lack of thereof) those days. 2) the father fetch of the current swell moving ever so slowly to the east. Btw, in Italian we don't really have a word for fetch, so we use the English word fetch. But since every word/object has a gender (in that language, I mean), we had to come up with one for it and it's male. "Il fetch", instead of "la fetch" to say "the fetch". Swell is female and it would be "la swell". I'm sure you're thrilled to learn this fundamental piece of information. 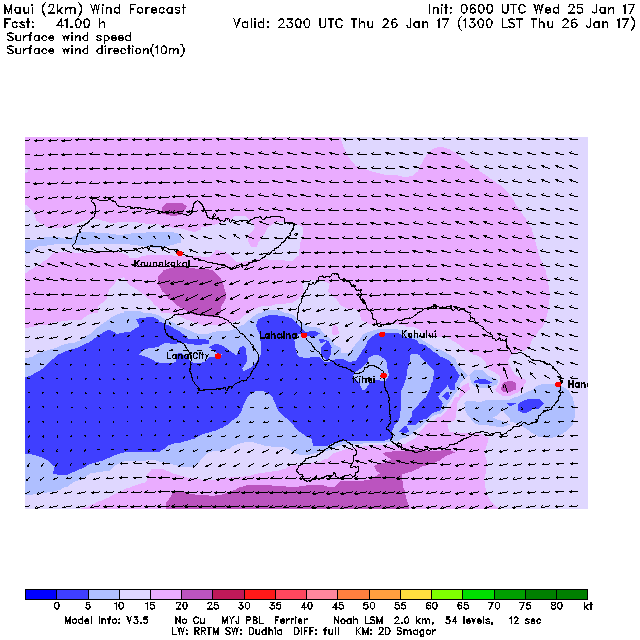 MC2map at 7am seem to show decent wind in the Kahului area, but unfortunately the iWindsurf readings are not in line with it: it's blowing 20mph at 5.30am. MC2km map at 1pm shows wind conditions similar to yesterday. Pretty bad conditions on the north shore yesterday, but I managed to get a session by myself at one of my favorite spots with fun waves (east swell, if you're curious). Unfortunately I only lasted 35 minutes, before I got cold and had to come out of the water. I had the 4/3 in the car, but I wanted to keep it dry for today, because I'm gonna need it for sure. Am I the only one having these issues with cold? No photos of the day, here's one of the many foil videos that we are being bombarded with. The foil sure lengthens the ride, but it's been long time that length of ride is not even in the surfing contest judging criteria anymore. And if I just look at it, I still have huge doubts about the level of fun that a ride like that can provide, but that's because I'm still thinking in surfing terms and expect to see spray and lips demolished and stuff. Instead that's a completely different game. And it's without a doubt that the craze is mostly due to the sheepish nature of modern times humans. I heard sentences like "damn, my foil is not here yet and my friends are all learning and I hate to be left behind". Inspired by genuine interest and looking for motivation to drop the bucks, I had a quick very technical chat with Dave Kalama (featured in the video) after which I ordered a foil myself. But it wasn't because of what we talked about. It was because he had the eyes of the kid (he was just coming out of the water after a foil session). He was seriously stoked to be doing this. And if something can stoke out a guy like Dave, I'd better give it a try. No readings, check the webcams. Massive numbers at the buoys, you really need to find a sheltered spot if you want to surf on the north shore today. Otherwise, the west side would be the next best call. 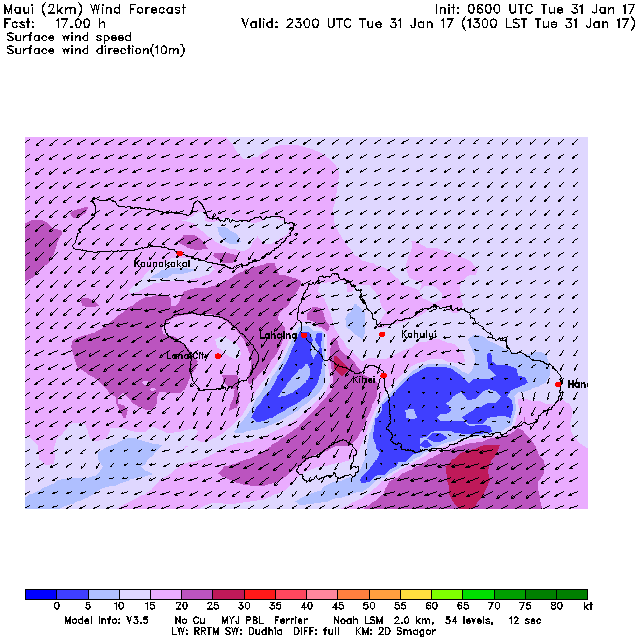 NAM3km map at 7am shows sideon winds on the north shore. The afternoon map looks just the same. Check the MC2km maps (link. n17) when they become available. 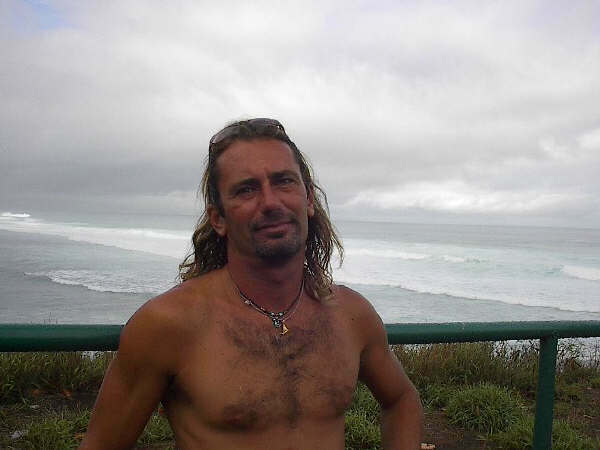 No Hookipa beach report because I'm leaving in the dark for a surf guide, but you don't need one: it's unsurfable. Instead hopefully my customer will score (and me with him). Couple of sessions for me yesterday, the conditions were excellent until mid morning when, as predicted by the MC2km maps, some light trades picked up. It was actually still fun even with the light wind, but I got cold again and had to leave. I immediately sent an email to the Hi-Tech's wetsuit buyer to get a 3/2. Too bad nobody makes them short legs, but I can always cut one I guess. In the meantime, this morning I'll put my 4/3 in the car. 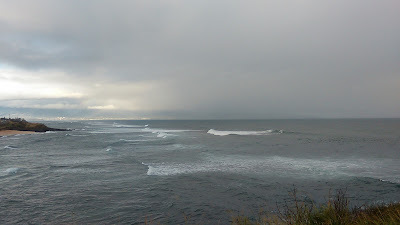 This is how Hookipa looked later in the day. Savanna Stone in a photo by Jimmie Hepp. ...but not quite as good as it looked last Wednesday. This video from Elliot Leboe shows the amazing spectacle that was going on that day. Mid section is dedicated to Ian Gentil who, as I wrote the day after, was also the one I liked the most. Can't believe I was out there in those waves, actually. 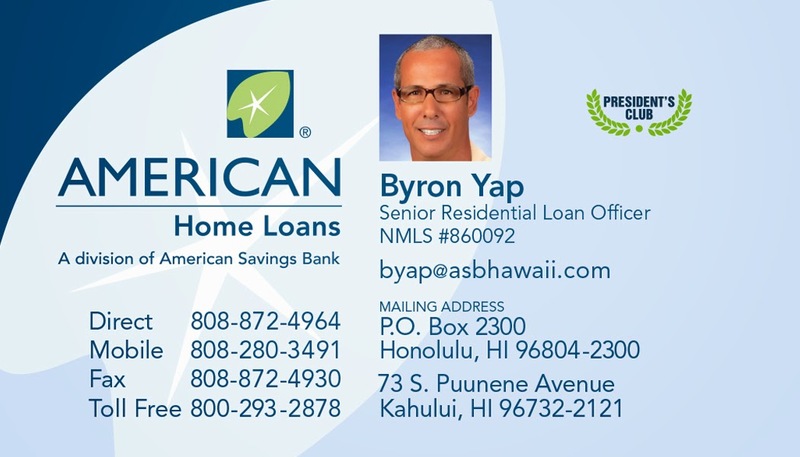 HONOLUA BAY - WHITE BOARD WEDNESDAY from ACL Digital Cinema on Vimeo. No southerly readings, check the webcams. I usually clean up the non significant readings from all the buoys (other than Pauwela), but today I left them all so you guys can have an idea of the mix of periods, sizes and directions we're are about to get slammed with. Energy from remote and nearby sources and local wind will make the ocean a mess for the first part of this week. 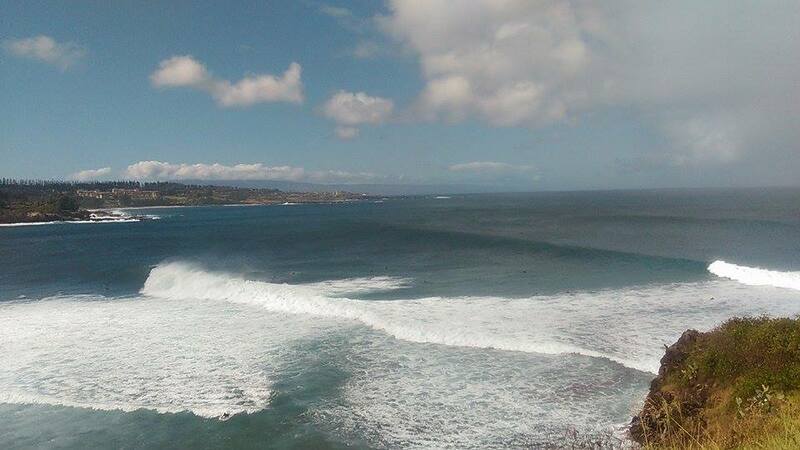 For today, if the wind wasn't on it, the Bay would be absolutely firing with such a good size and direction at Pauwela, but the Kapalua airport sensor is reading 24mph (gusting to 30) from 30 degrees and I believe that will make the conditions pretty choppy. I got a morning work shift so I'm not interested, send me a message/post a comment if you go please. As for the north shore, it's a classic stay home kind of day. 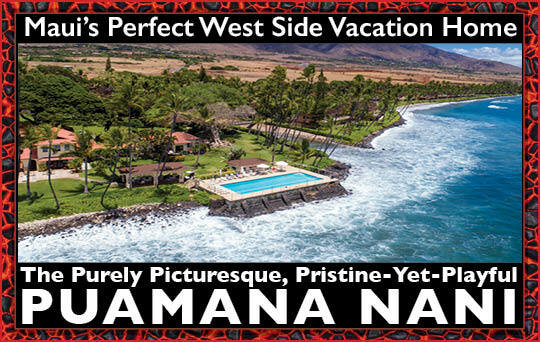 And if you're really desperate, there's always Paia Bay. 2) the northerly fetch that is unfortunately too close. We're suffering from the active wind of it and we will do so for at least three more days. We haven't even received the brunt of the wave energy from this fetch. Surfline's calling for 15f at 15s for tomorrow, which honestly seems way too high, while the WW3 calls for 9f 14s. We'll see. 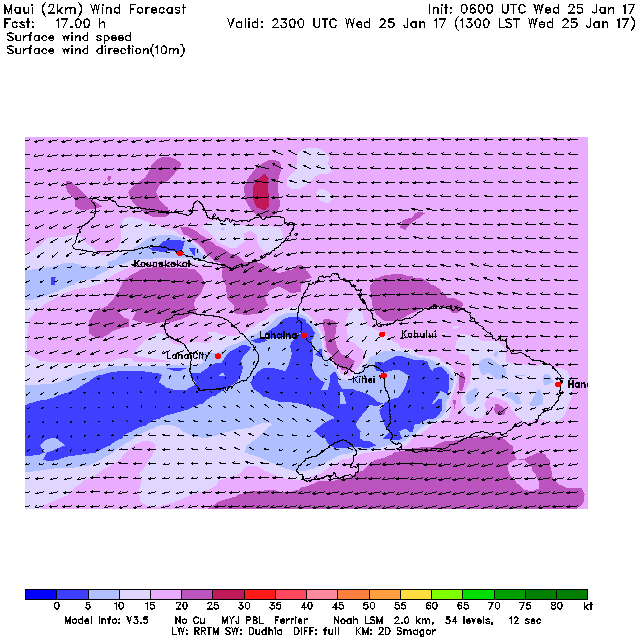 When I woke up around 4, I immediately checked the wind on iWindsurf.com. It was blowing pretty strong (can't remember exactly, but more than 15mph) and all the sensors on the north shore. That's why I posted that temporary call and decided to go back to sleep. But if the updated MC2km maps would have been available, this 7am one below could have possibly convinced me to get up and get into the usual surfing routine. It in fact shows that the front was gonna hit Hookipa only around 8am. Guess what, it's now 8.20am and the Hookipa sensor is only reading 8mph from ENE, so the real onshore hasn't hit yet. I will anytime, but there might have been a possible dawn patrol session somewhere that would have not been as horrible as I thought. Oh well, it felt good to sleep in for a change. This is the 1pm map and it's quite self explanatory. This is the 7.30am satellite picture. The blue line is the (weak) front that has just reached us. The red circle shows the classic cold air following a front. Lastly, here's a snapshot from this WSL page showing the results of the final and first semifinal at the WQS contest at Sunset beach. I am overly impressed with Kai Lenny's performance. 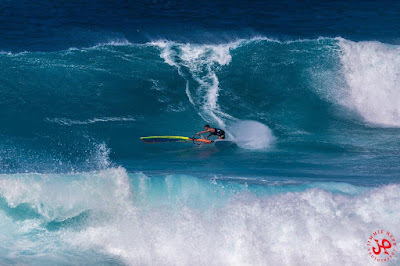 It is true that he's done a few big wave contests and that he hence was in familiar territory at Sunset (which was pretty damn big), but he got to the semifinals by winning all his heats (but the quarterfinal in which he got second) with scores much higher that his opponents. And in the semifinal he got a 8.25 before being involved in an interference call. I believe this was the first WQS contest. I really hope he's gonna do as many as his busy schedule will allow him to get a chance to qualify for the WCT tour. I know, he's 24 and he's not the best in small waves conditions. But he's Kai Lenny. Most likely the 24 year old in the world that has ridden the most number of waves (on whatever craft). He'll adjust. Word of mention also for the phenomenal Finn McGill, who got second to Jack Robinson and instead is only 16 and probably has a brilliant future in the competitive surfing world. PS. For whom it may concern: it's the end of the coffee and oil free week. I miserably failed the coffee challenge. But I only had three which is a lot better than 14+! I did stick to the no oil though. It was pretty hard, but I feel that if I keep working on my alternative dressings and let my taste get used to them, I can possibly win this one. I'm actually gonna try not to use much dressings at all. Our ancestors didn't use any, why did we need to enhance flavors at one point? Let's see how I do next week. 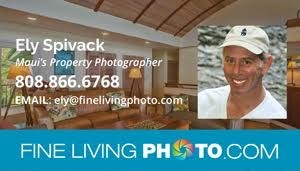 7.15am hookipa has inconsistent head to head and a half sets on a slow rise and very glassy. 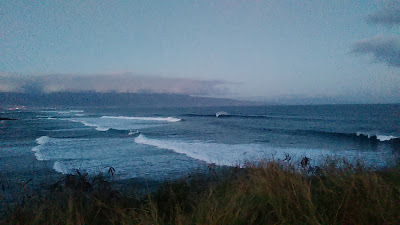 Another super busy day for me yesterday, but I managed to squeeze a dawn patrol session at Hookipa in it. What can I say, after 2 days of surfing perfect Honolua, that felt like a different sport. And that's not a typo. Decent looking wave instead in this photo taken at The Point later in the day by Jimmie Hepp from this gallery. No significant southerly readings at the local south facing buoys, check the webcams to see if there's anything. New solid NW swell on the rise, you can see it coming down the island chain in the buoy readings. Below is the graph of the four buoys reported above, Z pattern starting from NW101 on the top left. I put a red arrow to indicate the graph of the new swell (dark blue everywhere other than Pauwela where is light blue). Notice how much slower the increment of the local buoys is compared to the NW101. The numbers are also quite a bit smaller than predicted by the WW3 model (5f 14s at 4am) and Surfline (4.3f 15s at 2am), so this is another case of a late arrival. Not a good period for the models, evidently all those overlapping fetches that we've been seeing for the last week at least, have outcomes that are hard to predict. I wouldn't be worried about the size though, since sooner or later in the day (probably in the late morning/early afternoon) the swell will ramp up quite a bit. 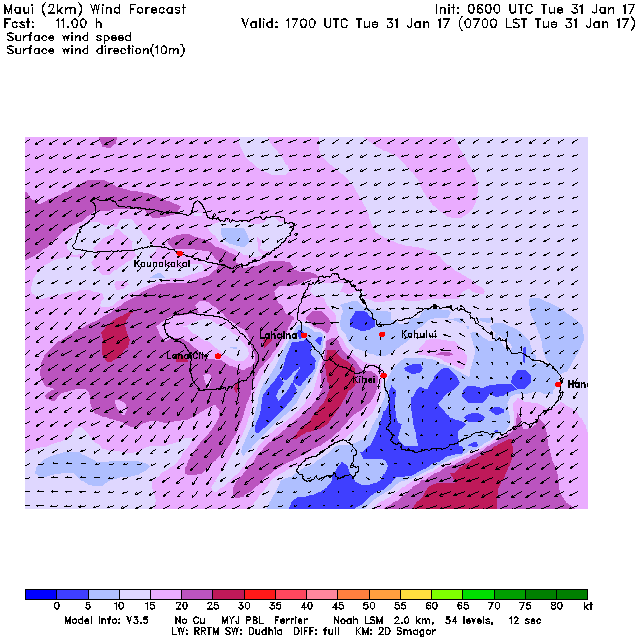 What you should be worried about is the wind instead (see wind maps below). 2) pretty strong much closer NW fetch. As indicated by the black arrow, this fetch will move east and put us in its northerly winds flow. 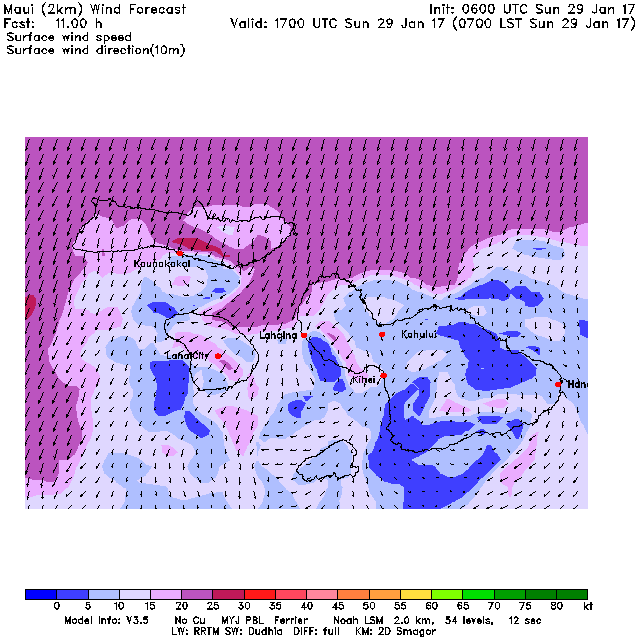 That'll make conditions on the north shore ugly and stormy very soon and for a few days. But there's plenty sweet after the medicine. The first third of February should see light to moderate kona's and plenty NW waves. 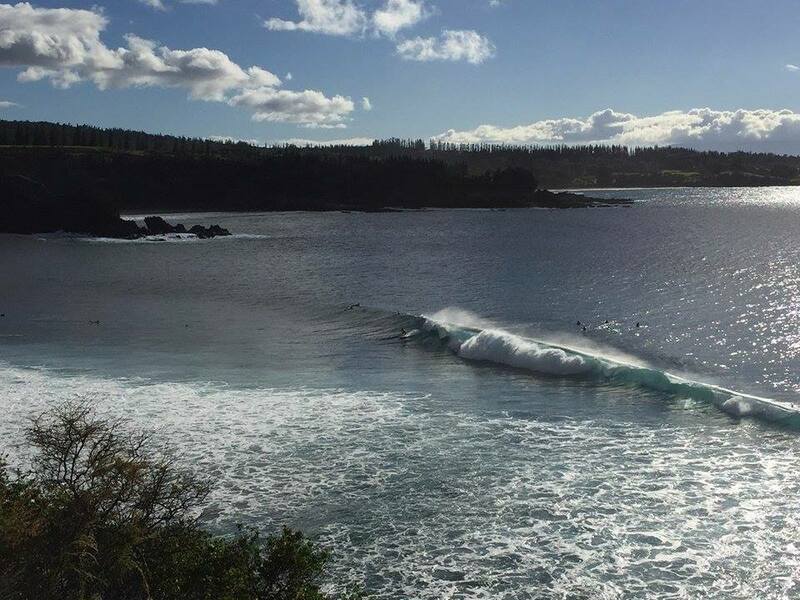 First Hookipa 10 of the season possibly coming up. MC2km map at 7am shows clean surfing conditions on the whole north shore. MC2km map at 1pm shows light trades still from a traditional direction. 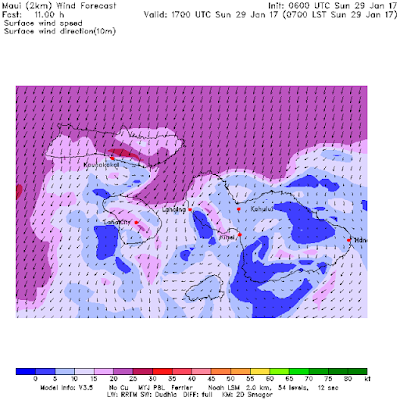 But MC2km map at 6pm already shows the more northerly direction approaching from the west. PS. Amazing Mavericks shots in this feature on Surfline. 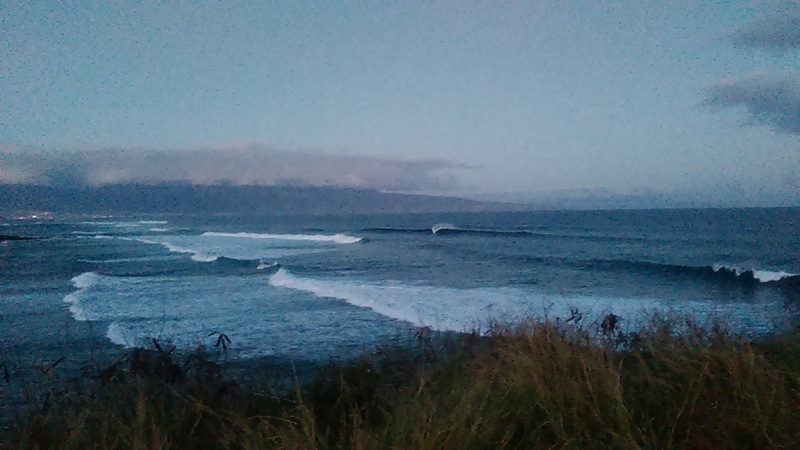 6.45am hookipa has head high sets occasionally bigger. Tide seems high and looks like a minimal morning sickness, it might be better later. Another beautiful day in paraside was archived with a surf session at Honolua and a delightful light wind windsurfing session at sunset that was unfortunately interrupted because I got really cold. I''ll put my Peruvian 4/3 wetsuit in the car and use it next windsurfing sunset session. I hate when I have to cut a session short because I'm cold and seen the amount of fat (or lack of there of) I currently have on me, that is happening way too often. Yesterday's mid day beach report (right below this post) explains in detail the conditions at the Bay, here's one shot I quickly took before going out. I was on a lesson/sessions tour-de-force again. 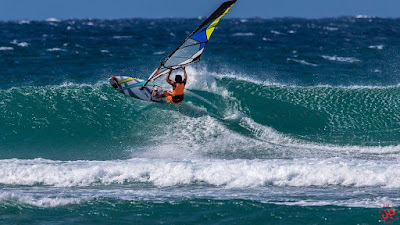 In the afternoon a bunch of very good sailors took the challenge of the big waves coupled with the light wind at Hookipa. This is Ross Williams in a beautiful bottom turn on a bomb in this photo by Jimmie Hepp from this gallery. Still only wrap at the Lanai buoy, check the webcams. 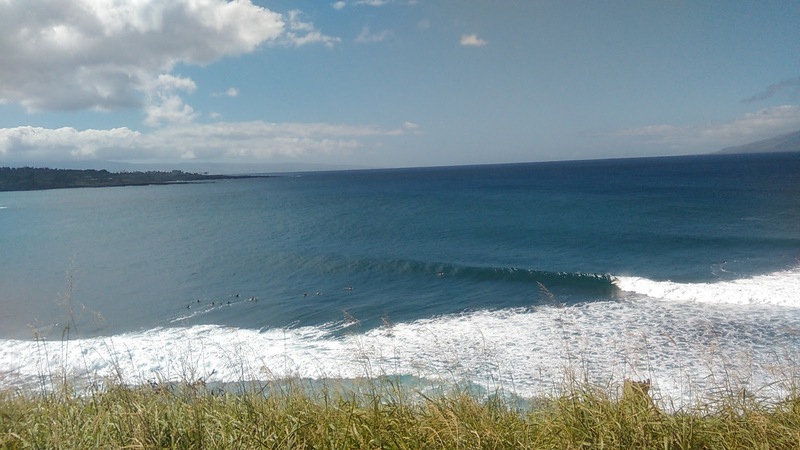 Lahaina had inconsistent waist high sets yesterday, should be smaller today. The recent episode that peaked on 1/25 to giant levels, meaning less frequent higher sets surpassing 40 feet at high refraction zones on outer reefs, was a challenge to the wave models. It arrived about 8 hours behind schedule then climbed well above predicted levels on 1/25. 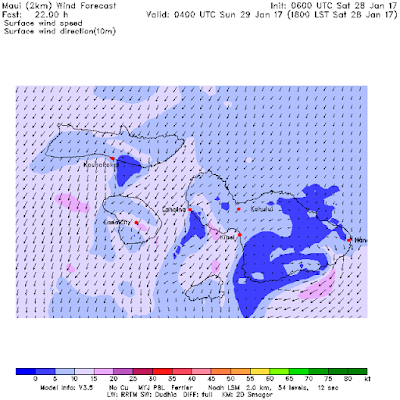 The models had depicted the highest swell well NE of Hawaii and some of the jason validations concurred. With a 941 mb central pressure and a mammoth size, pre-wave model/jason forecasters most likely would have got it right. There was an eastward increase in size with pacioos/cdip Pauwela, Maui buoy receiving the highest reading to 15 feet, since the brunt of highest swell missed Hawaii to the NE. The reason for the size was major combo swell. I remember the fetch chart. It was a large area from many directions.The one swell didn't disappear. The model merged with the other swell as the directions converged and the long period decreased. The significant height from the models will always be low in those merger cases. 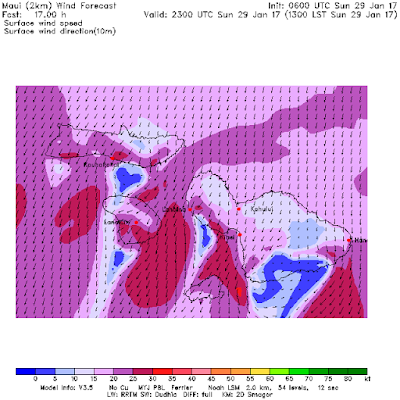 "Pre wave models forecasters would have got it right", "I remember the fetch chart"... I guess I missed an opportunity there! Below is the graph of the NW101 and Pauwela buoys that show a clear and steady drop in the energy of the swell. Expect the trend to continue all day (the usual "at least a foot and a second"), before a new swell hits tonight. 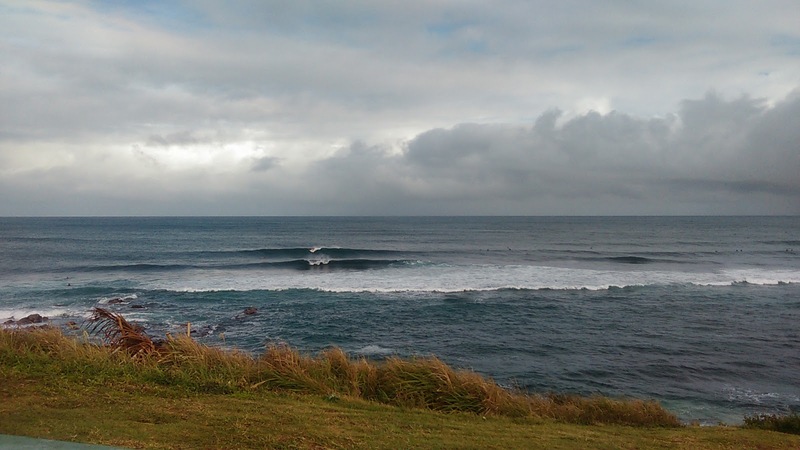 In the meantime, 4f 14s is a really fun size at Hookipa and that's where my dawn patrol will be. 3) a closer, not as strong NW fetch. There we go, overlapping energies again, there have been a lot of fetches from WNW to NNW lately. NAM3km map at 7am shows very nice conditions for the dawn patrollers. Unfortunately, the iwindsurf sensor show 6-12 mph from 90 at Hookipa at 5.13am, so it might be a tad more than what the map shows. But overall, it should be pretty clean this morning. 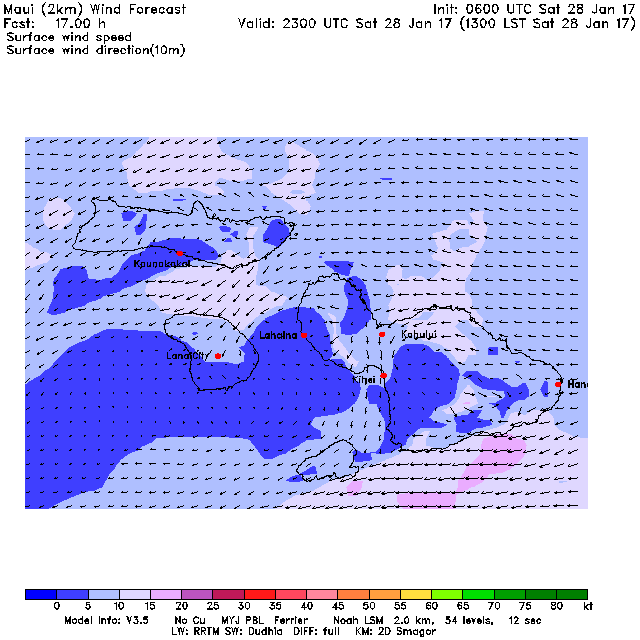 After the recent modifications, the Windity closeup maps seem to be less reliable than they used to, so I'd rather use the OLD-NOT-UPDATED 1pm map of MC2km that shows lovely 15-20 mph trades from the east that should also make for some fairly groomed afternoon sailing conditions. But do check the new updated ones when they come out (link n.17) of GP's meteo websites list in the right column of this blog. PS. I added a some webcams to the webcams list. Please keep sending me emails or post comments if you know other ocean showing webcams on the islands. PPS. Coffee/Oils fast update: still hanging in there with the oils, but I did have a couple of coffees since Sunday. It's just that when I drive by Lahaina I can't help by stopping at the Maui Grown Coffee shop and get my favorite: iced light roast. $1 if you have your own cup. Love those guys. PPPS. Here's a video of a lovely wipeout at Mavericks during the session that went on yesterday. 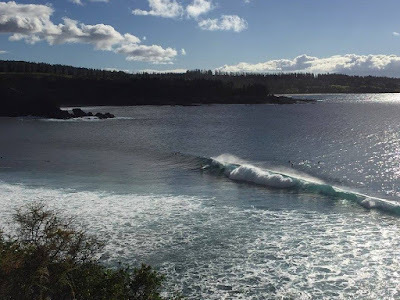 9.15am honolua has gorgeous waves again. Smaller and much slower than yesterday, but when the set comes, it's perfect. 40 people total, equally distributed. A low count, high quality session. That's just what I need. Here's the photos I took in only 20 minutes at the Bay. The beauty left me speechless, so I'm gonna shut up also now. His more famous brother Kai has done extremely well so far in the WQS contest at Sunset Beach. Too big yesterday, probably also today, but check out the contest page for updates. There's a live button, but I'm not sure there's a live webcast unfortunately. Next time I see him, I'll ask him if he's interested in getting on the WCT tour. Probably not, is my guess, but I hope I'm wrong. Wouldn't mind seeing him there. In the meantime, many big wave surfers are getting ready for a big session at Mavericks today. Swell was pumping and getting bigger when I left. Out the back a solid double over header is feeling the bottom contour and starting to bowl up at the Cave. Got really crowded in the afternoon. That's the wrap, check the Lahaina webcam, yesterday it was knee to thigh, occasional waist high.. This swell has thrown all the forecasts off. Remember that yesterday I pointed out that the NOAA WW3 table was showing a peak of 7.5f 16s around 2pm? Well the swell went up to a macking 13f 17s instead. Today's table is pretty unclear too: there's a brand new swell of 4f 20+s that suddenly disappears at 5am. The swell is not at the buoys and not in any other forecast. I'm totally new to these maps and maybe I'm not reading them correctly, but they seem pretty straightforward to me. Maybe I should just ignore them, they're not particularly user friendly either. But where to go instead? This is the updated Surfline forecast that is calling for 7.7f 14s for today while at the buoy there's much more than that. The good old buoys show a difference in time between the peaks at the NW101 and Pauwela of only 12h. Period is 15s, GP's rule of thumb is a whopping 5 hours off. This swell got me groping in the dark so badly that I didn't even feel to draw the continuation of the Pauwela line for the day. NW101 shows that it should go down all day, but when you start from 13f 17s, going down can be a very relative thing. Still big waves all day is the message, sunset smaller than sunrise. Geez, this whole call could have been just this simple sentence, couldn't have it? 1) very solid NW fetch. No lack of big waves these days. The time stamp I selected for this mc2km map is 1pm of today the 26th. But the time stamp at the top is from yesterday, so it might be not the freshest update and I recommend to check them again later (link n.17). If it's true, that's totally sailable. Be safe out there. 9.15am honolua has gorgeous waves. 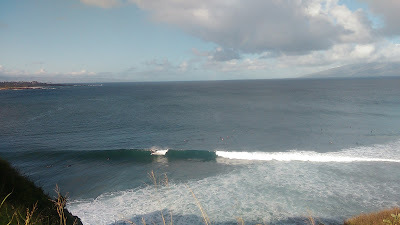 The cave can offer doh barrels, but it's slow to medium consistency, 20 people and some sets are as small as head high. 20 more people at the point that, as usual, is a little smaller. Couple of sessions yesterday, the morning one was by far better, because the late afternoon one was absolutely horrible. I gave it 0.3 from the water. Wind, windswells, chop, all over the place. 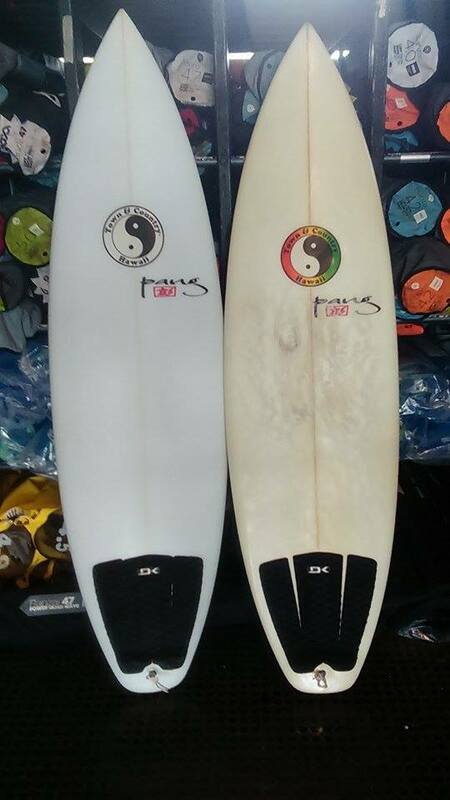 Not the best conditions to try a brand new board like the one on the left in the picture below, about which I'm gonna spend a few words. As I said, yesterday's session was so bad that I couldn't really figure much, other than yes, it paddles faster of course. The reason I'm saying all this, is that most likely I'll sell that board soon. It's a great all around shortboard for someone who needs those specs. 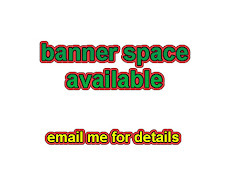 Stay tuned for the official announcement or send me an email if you're interested already. Price should be around $450, the three fin boxes are Future. First reading is obviously the wrap of the NW swell, second one I hope is a southerly one which direction gets influenced by the NW wrap induced oscillation. That would be good, since I have an extremely busy teaching schedule today. First, let me point out the different directions at the two NW buoys. I observed it all day yesterday and the difference was oscillating between 20 to 40 degrees. The buoys are 10 miles apart, so that doesn't make any sense at all, unless you accept the fact that the buoys are not precise. They are a great tool, but the forecasting models are actually more accurate. I noticed that in Indo where there's no buoys and just following the Surfline forecast is most times good enough to know what's in the water. Talking about which, yesterday it was a clear example that also this last one can be wrong. Qui wrong, actually. Below is the graph of the NW101, Waimea and Pauwela buoys. Let's first check those two readings on this last one that I indicated with a red arrow. The 1f 18s at noon is in line with what the NWW3 table was showing yesterday (it was 1f 21s, but again the buoys can be wrong, specially with such small energy). The 6f 18s at 2am is exactly what predicted in the NNW3 table that I posted yesterday (and it gives us the confirmation that at noon it really was 1f 21s, not 18s). Let me remind you that the Surfline forecast was calling for 6f 20s at 2pm, so it was way off. The WW3 model feeds the Surfline one (which then adds a proprietary near shore model, a knowledgeable friend recently told me), so I have no idea of how they managed to screw up so bad in this case. The peak at the NW101 seems to have happened around 2am with 15s period. By applying the new and improved GP's rule of thumb for the travelling time, that should equate to a peak locally 17h later, i.e. 5pm. Instead this time I drew the blue line based on the updated NOAA WW3 table below, that shows a peak of 7.5f 16s around 2pm. When I say peak, I mean the size in feet. Someone might argue that 7f 17s will make bigger waves than 7.5f 16s and he would be totally right. But I need something to measure on the graph of the buoys. So the peak in size on the particular break depends on the how the break amplifies the different periods and might happen before or after the one indicated by the buoys. I also underline the peak of the second swell right behind this one, which will happen at 6am Thursday with the same size numbers. Got to run, no time to review all this, sorry about the possible mistakes. 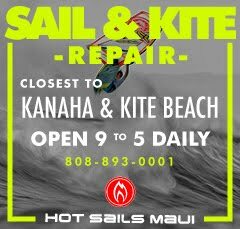 No beach report from Hookipa (which will be way too big for me anyway and most likely for anybody), I might manage to pull a quick Bay session in between lessons. If I do, I'll post a report around 9am. 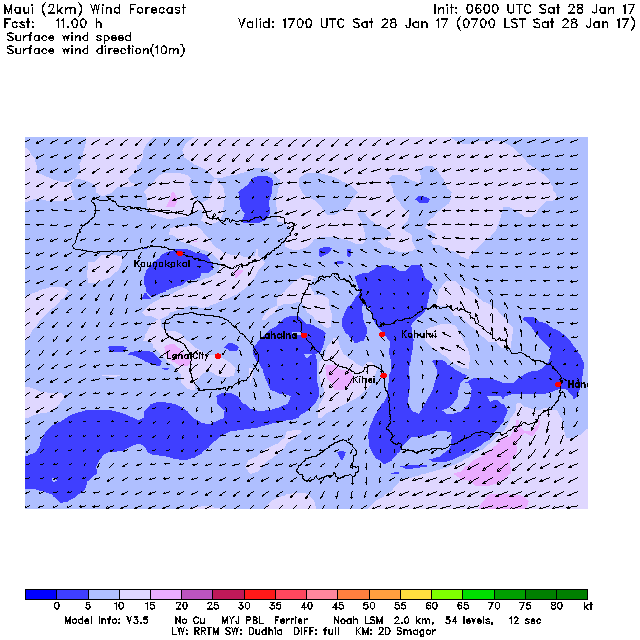 NAM3km map at noon shows trades from a good direction for sailing. PS. Day 2 of the no coffee no oils fast, I'm not liking it at all, but I'm sticking to it. 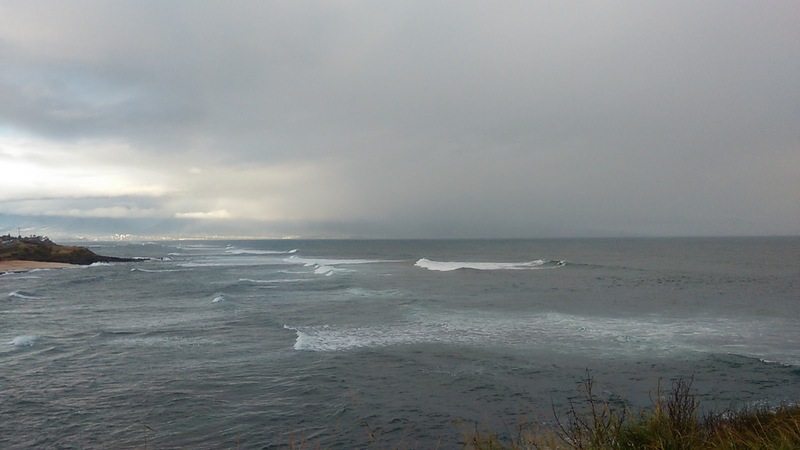 9.15am hookipa still has head high+ peaks with a little wind. It was a 4 when I surfed it, but upon leaving the point looked more like a 6.